The main objective of the „MOEEBIUS Comfort Profiling Models” report is to deliver dynamic visual and thermal comfort models towards facilitating the definition of accurate comfort profiles of occupants within buildings. The document not only provides detailed description of implemented methodology and developed models, but also shows how to adopt minor refinements during the development of the MOEEBIUS occupancy and behavioural profiling engine. Our project consortium participated in MOEEBIUS General Assembly in Ericeira, Portugal (2-3 November 2016). The meeting was organized by Municipio de Mafra - local government which is responsible for testing innovative MOEEBIUS solutions. "Functional and Non-functional requirements of the MOEEBIUS framework and individual components" report available for all! The report describes in details the functional and technical requirements of the components that comprise the MOEEBIUS system architecture. More specifically, it defines the distinct technological components that needs to be included in the MOEEBIUS framework, in order to address the needs of end-users as well as the constraints set by the identified business models and the energy performance assessment methodology. New ESCO business models and energy management strategies report released! In order to unleash the energy efficiency (EE) potential and achieve the energy savings goals in buildings there is a necessity to adopt new ESCO business models. And this is what MOEEBIUS Consortium is currently working on within the project. ESCO (energy service company) is a commercial or non-profit business providing a broad range of energy solutions including designs and implementation of energy savings projects, retrofitting, energy conservation, energy infrastructure outsourcing, power generation and energy supply, and risk management. The energy services market is envisaged as a key factor for implementing EE measures and achieving energy savings in buildings. ESCO models were developed in the USA and afterwards brought to Europe and have been used since the 1970s. Several ESCO models are now being applied. These include energy performance contract (EPC), energy supply contract (ESC), chauffage, integrated energy contracts (IEC) and build-own-operate-transfer (BOOT). 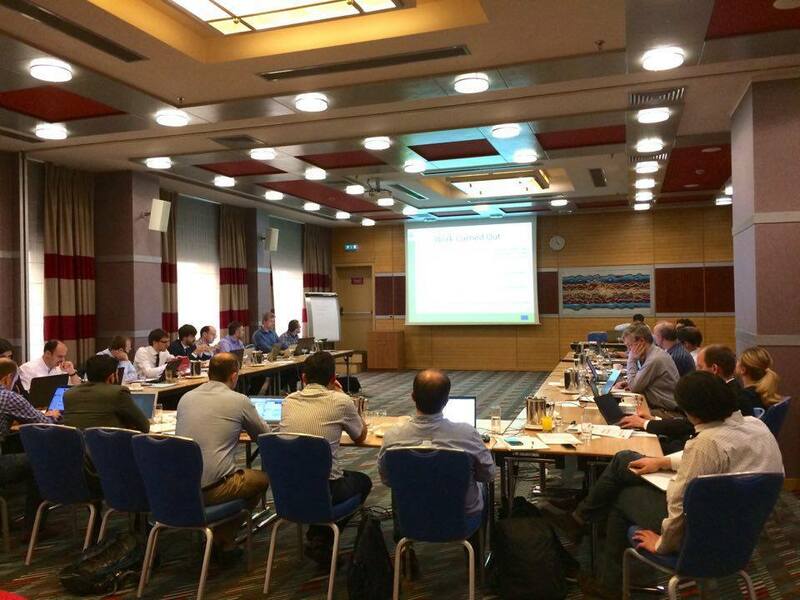 In order to coordinate MOEEBIUS project activities the Consortium meets up every 6 months on the project General Assemblies. The Kick off meeting announcing the start of the project was held in November 2015 in Brussels. On 17-18 May 2016 second project internal meeting was held in Athens, Greece. Representatives of all project partnering institutions have attended the event. The MOEEBIUS framework will be validated in 3 large-scale pilot sites, located in Portugal, United Kingdom and Serbia, incorporating diverse building typologies, heterogeneous building and district energy systems and spanning diverse climatic conditions. In order to span a greater range of climatic conditions, three locations with quite different climates have been chosen for the pilot deployment in Mafra (Portugal), Belgrade (Serbia) and London (UK). The Living Labs play a key role in testing, refinement and validation of the MOEEBIUS framework at both building and district levels. Additionally, they will be also served as demonstrators showing the running MOEEBIUS framework, with emphasis on the benefits achieved and their potential.